The strength of alkali depends on the degree of dissociation of the alkali in water to produce hydroxide ions. The pH of an alkali solution depends on the concentration of hydroxide ions. · Strong alkali have a higher degree of dissociation. 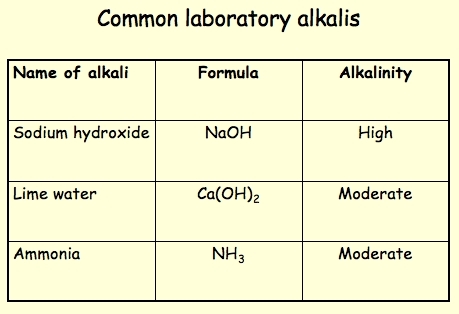 · A strong alkali is an alkali which dissociates completely in water to produce a high concentration of hydroxide ions. · Thus, pH value for strong alkali is higher than weak alkali. · Weak alkali have a lower degree of dissociation. · A weak alkali is an alkali which ionises partially in water to produce a low concentration of hydroxide ions. Only a part of the molecules ionises and the remaining still in covalent molecules. · Thus, pH value for weak alkali is lower than strong alkali.